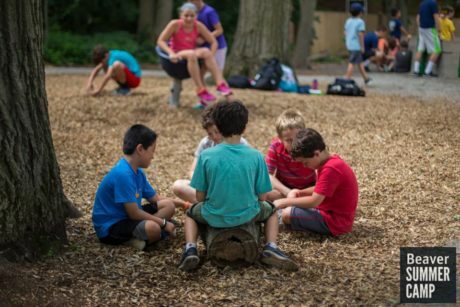 Now in it’s second year at Beaver Summer Camp, the Jungle provides campers of all ages with hours of fun and games! 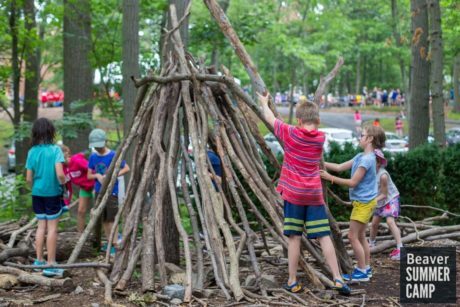 When it became evident that construction on the school’s new Research and Design Center would require the camp to relocate it’s playground, Camp Director Nat Saltonstall’s goal was not simply to find a new location for the same dated play structures. 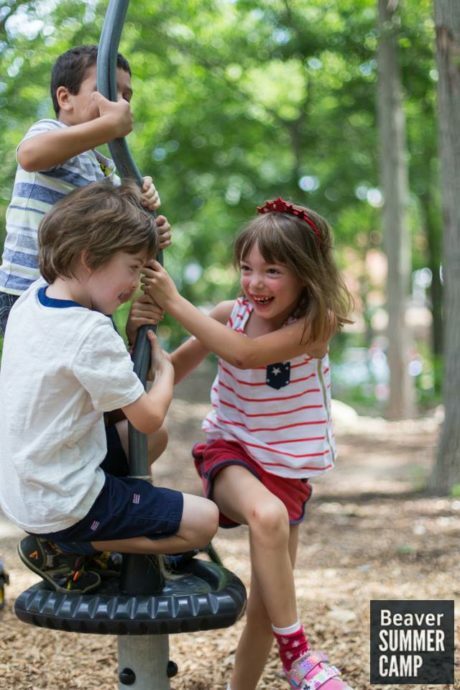 “The traditional playground model is outdated. We wanted to be thoughtful about creating a space that was unique and unstructured, providing the freedom to allow kids to choose how to use the space.” Nat states. After some careful research, a wooded area on the south end of campus was cleared, making way for construction of The Jungle. Hanging out for the day in the Jungle, it’s common to see kids from lower camp all the way to the older senior campers enjoying time in the space and can find age appropriate ways to play. 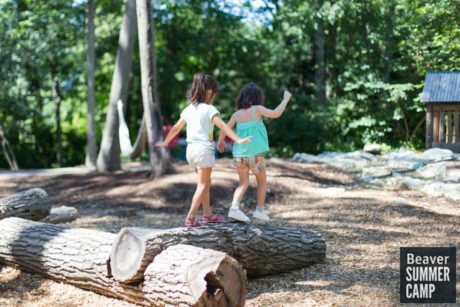 From playing gaga, walking the tight ropes or fallen logs, building teepees, or even just hanging out and chatting with friends, campers love their time in the Jungle!